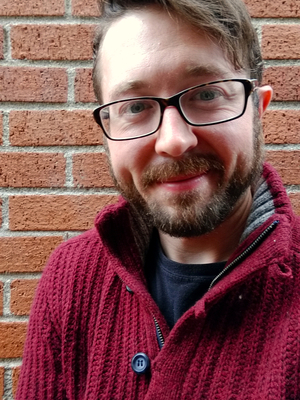 Trey Conatser began his doctoral studies in British Romantic literature and history, and later shifted to digital humanities, pedagogy and rhetoric and composition. He has served as the associated director of the Digital Media and Composition Institute, a technology and pedagogy consultant at the Digital Media Project, a writing center consultant at the Center for the Study and Teaching of Writing and the president of the English Graduate Organization. He also has taught writing and literature courses as a graduate teaching associate: first-year writing (face to face and online), introduction to poetry, British literature from 1800 to present and the literature of plagues, epidemics and outbreaks. When Trey arrived at Ohio State, a seminar in editing, coding and electronic editions began a career interest in digital humanities. His dissertation in progress, "A Blueprint for Utopia: Institutional and Pedagogical Contexts for Digital Humanities," argues that a comprehensive pedagogy for digital humanities—grounded in the techno-pedagogical discourses of rhetoric and composition—and strategic partnerships with campus teaching centers will enhance sustainability and legibility for digital humanities work for a broader audience of stakeholders: in essence, an essay at what Julianne Nyhan diagnoses as a public communication problem among digital humanists. Conatser lives in Lexington and works at the University of Kentucky, where he teaches in the Preparing Future Faculty program, the Department of Writing, Rhetoric, and Digital Studies, and the Honors College. He is a faculty instructional consultant at the Center for the Enhancement of Learning and Teaching, where he leads digital humanities and digital pedagogy initiatives, promotes a culture of teaching excellence, and contributes to faculty and administrative projects across campus. "Keeping Track of DMAC: Visualizing Influence Across Space and Time." Computers and Composition Online. (2015). "Changing Medium, Transforming Composition." Journal of Digital Humanities. (2013). "To Be(head) A Family: British Poetry and the Reclamation of Marie Antoinette." CEA Critic. 2010.